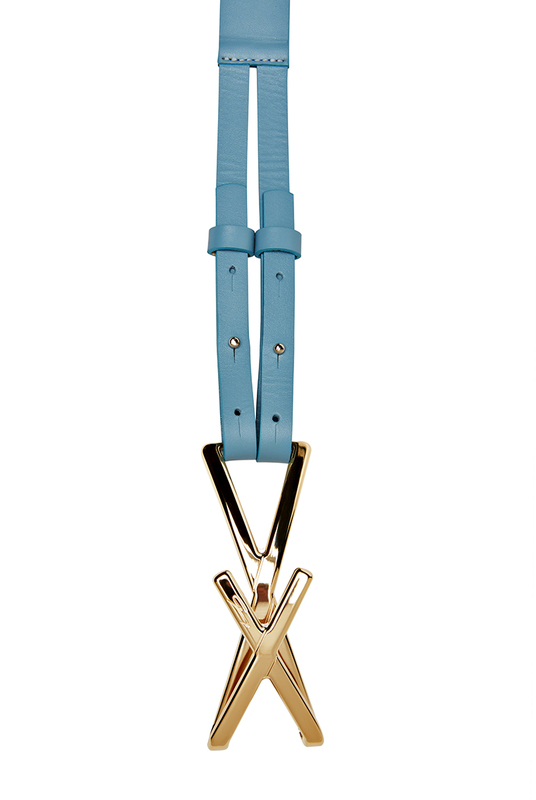 Embellishing your waistline is a light gold metal buckle which intertwines among itself to form a double “X” design. 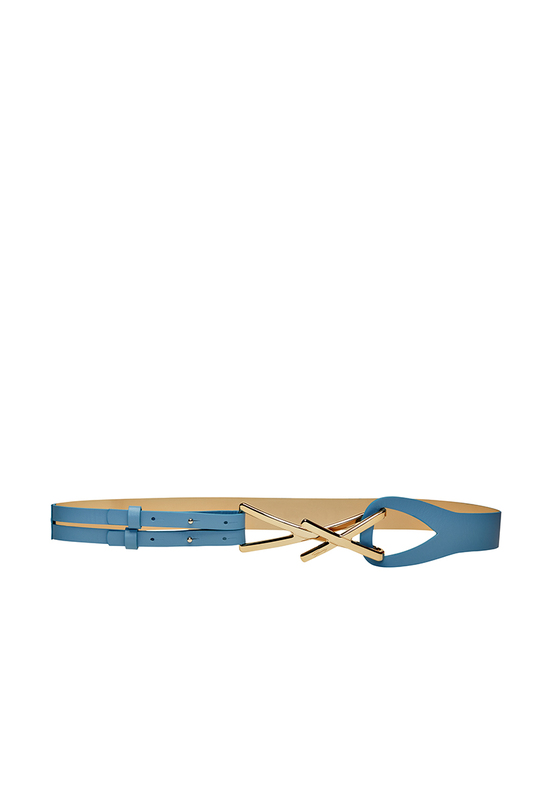 The belt in soft nappa leather is distinguished also for its innovative and sophisticated closure. An accessory that makes the difference and calls character to your ensemble. 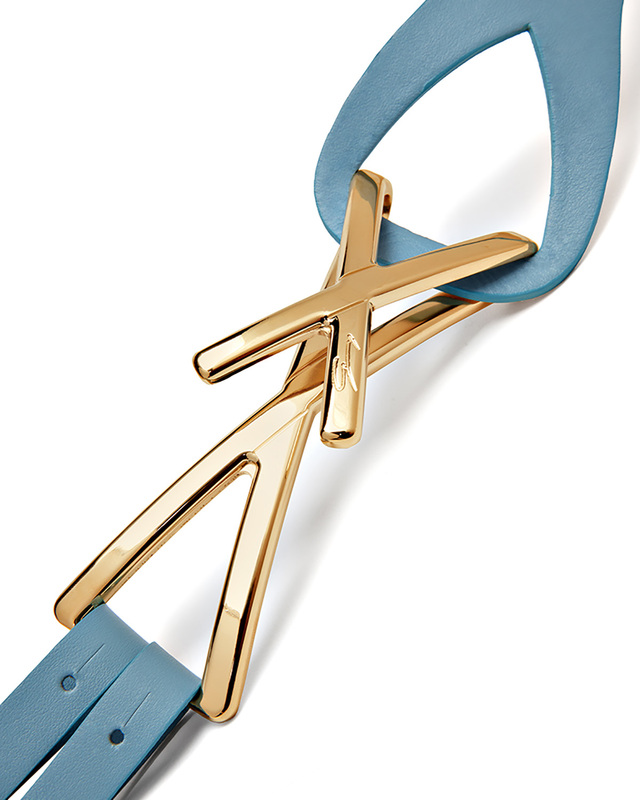 Be seduced by the romantic version in the color cerulean for an outfit of unusual shades.